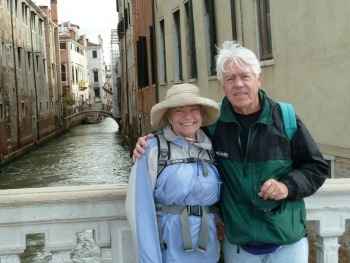 Self reliant retirement, if experiencing the canals of Venice with your loved one is on your retirement bucket list the sooner you start depending upon yourself to provide the income to do so the sooner you'll be watching the gondoliers. Watch the gondoliers, don't get in one unless you have Euros to burn. If the recent news from Washington is not enough to make you believe that you need to rely on yourself... I really did not know what it's going to take. No one cares about your retirement or your future more than you, the sooner you start taking charge of your own retirement and not relying on the advice of financial planners... remember when you retire they lose a client... the sooner you'll be seen scenes like we are enjoying here. We have been retired since 1994, and as I discussed retirement with readers and with other people that ask how we've done it... I have come up with a list of what I think of the biggest retirement planning errors. Of all of these the one sure killer a retirement dreams is probably credit card debt... we have never paid a single penny in credit card interest. We have enjoyed the free use of someone else's money for 30 days, accumulated frequent flyer miles, but I can honestly say I have never looked at the interest rate charged on credit card balances... because we always pay it off, automatically with a bank withdrawal each month. If you have the attitude... that if you don't have the money you don't buy something... you're well on your way to self reliant retirement. It sickens me when the TV ads say "have over $10,000 in credit card debt"...we can help you...the same for "owe the IRS $$$"...do you really think the credit card companies are so benevolent that they will actually eat the losses? Guess who ends up paying for the stupidity of people that spend what they don't have?...you got it you and me. A self reliant retirement approach would be income solely based upon your efforts. This will be income based upon a trade or skill that you might have such as electrician, plumber, carpenter, etc.. If you are going to undergo training to develop such a skill, make sure it is in a high demand industry, such as healthcare or anything computer-related. Getting an advanced degree, in order to make you more attractive to a potential employer, still leaves you totally dependent upon someone else to provide your income. What can you yourself do to earn money? Do some brainstorming...driving for Uber or Lyft are options that allow you to control the hours you work. In 2008 I had been retired for 14 years, I absolutely loved retirement but my 401(k) became a 201(k)... I resolved never to go back to work... I was a commercial real estate broker, and I could've gotten back into the rat race and produced income at a high level. But in doing so I would be giving up being with my wife 24 hours a day. I never wanted to answer no if my friends wanted play golf that afternoon. I never wanted to say no if a good deal on a cruise popped up overnight. 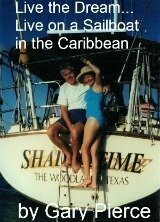 So I started this website, with no computer knowledge other than email... the appeal of working anywhere that I wanted too had great appeal because I can still "appear" fully retired by working when and if I chose to work. But without someone taking care the technical details of getting online and being successful, I was dead meat.